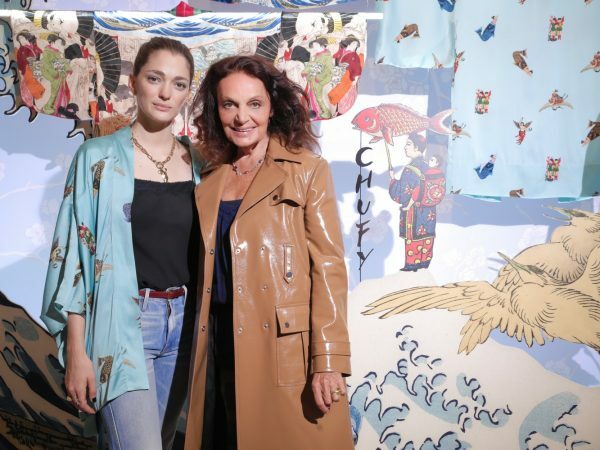 On Tuesday April 17 at The Webster in Soho, Sofia Sanchez de Betak hosted an exclusive launch party to debut her second collaboration with The Luxury Collection, inspired by her journeys throughout Japan. Sofia brought the collection to life with elaborate set designs to display the kimonos in addition to custom designed pieces to adorn the shelves throughout the store. The installation was complemented by a curated playlist of Tokyo tunes and display cases were lined with Sofia’s souvenirs including geishas and Kawaii toys. Her travels to both the Suiran in Kyoto and The Prince Gallery in Tokyo served as inspiration for the ornate interior elements installed in the store for the launch party. While guests mingled with one another and perused the space, they were served Japanese treats including spring vegetable rolls, shrimp tempura, panko, tuna, daurade, and beef sushi in addition to traditional Japanese sake, beer, and a cocktail using the sake of choice for the evening. Exclusively available for retail on www.theluxurycollection.com and www.chufy.com in addition to top retailers including The Webster, the collection ranges in price from $369 to $2,500 USD and available in extra-small to extra-large sizes. 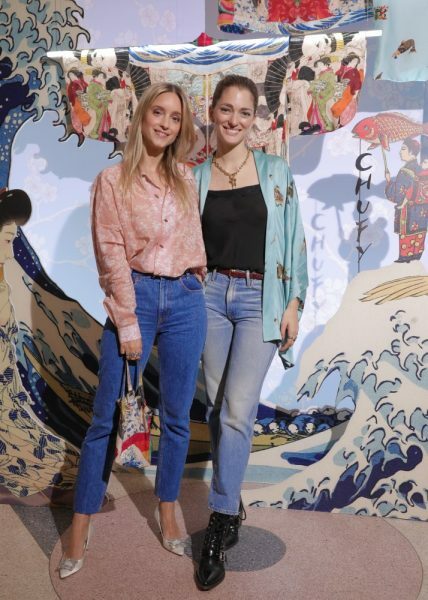 In addition to host Sofia Sanchez de Betak, VIP guests included: Diane von Furstenberg, Charlotte Groeneveld, Jodie Snyder, Sophie Auster, Rachelle Hruska MacPherson, Alexandre de Betak, Dorian Grinspan, Cecilia Dean, Chloe Malle and more.